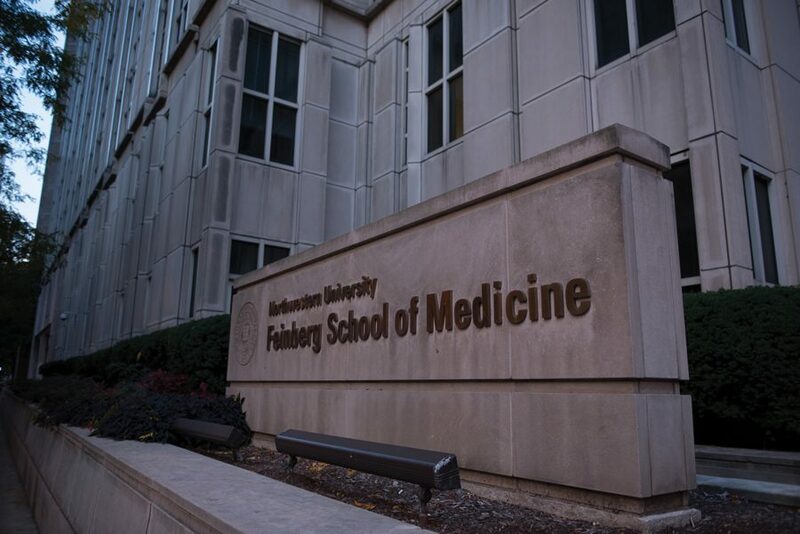 Northwestern’s Feinberg School of Medicine in downtown Chicago. Two Feinberg professors are part of a team tackling newborn mortality in Africa, which was selected as one of four finalists in a national competition. Two Northwestern professors are part of a team that recently won $15 million to increase survival rates for newborn babies in Africa. Feinberg and McCormick Prof. Robert Murphy and Kellogg Prof. Kara Palamountain are both members of NEST360°, a global group of experts that was selected as one of four finalists in the national MacArthur Foundation’s first 100&Change competition. The competition’s senior program officer Kristen Molyneaux said it aimed to award an organization that solved any critical problem in the modern world. NEST360° — which also includes team members from Rice University, the University of Malawi, the London School of Hygiene & Tropicalal Medicine and 3rd Stone Design — is a collaborative effort that aims to improve the survival of African newborns by providing durable technologies and improving healthcare training, education and access. Murphy said the goal of the project is to improve newborn survival in Africa by at least 50 percent. “This is a project in sub-Saharan Africa where infant mortality, specifically … death before one month of age, is really high, and most of these babies are dying of preventable causes,” Murphy said. Many of these deaths can be prevented with basic care that many places in the region don’t have, he added. Kristen Mack, 100&Change’s communications officer, said the proposals were judged on four criteria: whether the proposal was meaningful, feasible, verifiable and durable. Molyneaux added that although the competition originally aimed to award $100 million to the winner, all the groups were “so strong” that the foundation decided to give $15 million to each of the other finalists as well. “The hope from the board was that those additional $15 million grants would be a good catalyst for other donors (to) close the gap between the 15 million we provided and the 100 million that the organization had put forward,” she said. Murphy said team members have worked on almost 20 technologies for NEST360° so far, including a syringe pump that injects fluids into the body at an optimal rate and an airway pressure machine that pumps oxygen to the lungs. He added that the technologies were built to withstand the African environment, so they are sturdier, less impacted by dust and can operate on a battery if the electric grid is unstable. Other aspects of NEST360° include developing diagnostic tests and training healthcare workers, he added.